"The product, delivery & service is wonderful." I want you to know, the product, service & delivery is wonderful. I had to tie-in the new Australian cypress flooring with an existing 10 year old floor and was very nervous about ordering online from a company I knew nothing about, without a chance to see, touch & feel more than a sample. The process went beautifully & your responsiveness & honesty throughout the transaction were very reassuring & professional. I will recommend your company to anyone and thank you for providing great service. 3-1/4" x 3/4" unfinished Australian Cypress flooring. ©2017. 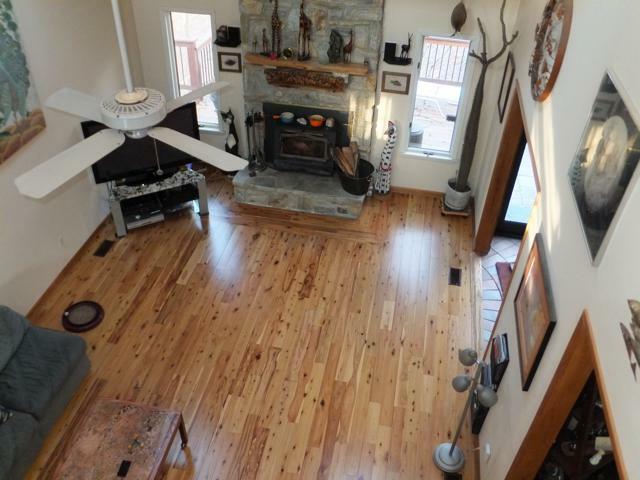 "The flooring and treads we purchased were beyond our expectations." 5-¼" x ¾" pre-finished Australian Cypress floor - installed. I wanted to express my delight with our purchase of your australian cypress flooring and stair treads. 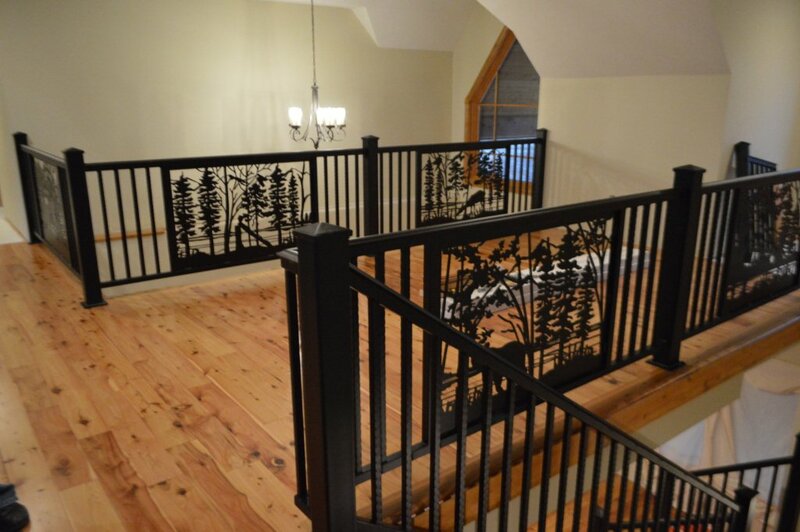 We purchased 4000sq ft of prefinished flooring, bullnose, and stair treads. Our home is absolutely beautiful. The flooring and treads we purchased were beyond our expectations. After looking at other companies and their reviews we had become skeptical about using the cypress. Like all home owners, we wanted to buy the best we could afford and do it only once. So we did our homework. We obtained samples from a few companies and also from you. There was no doubt in our mind that your flooring was quality above the others. 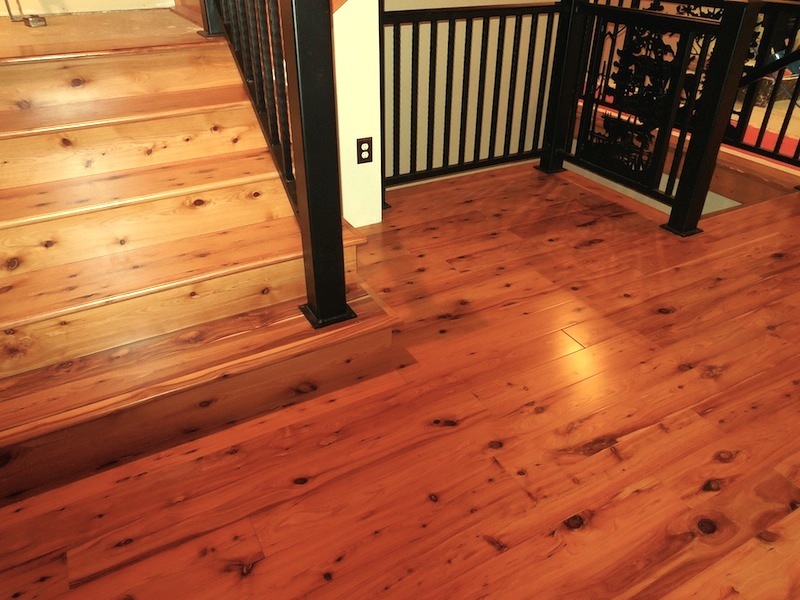 We even compared your flooring to "Well-Known-Brand-Name-Flooring" … which is marketed to be the best australian cypress flooring on the market, especially with their 100 yr warranty. Well buyers beware! When we talked with "National-Flooring-Company" [which has been in the news in 2015 & 2016] about their "Well-Known-Brand-Name-Flooring", we found the sales people to be very inconsistent with their knowledge of the flooring and the 100 yr warranty is not worth paying the high price. We narrowed it down to Australian Cypress .US and found "the Business Owner" to be extremely knowledgeable and responsive to our multiple questions and comparisons. While she couldn't speak of other companies product, she certainly knew her product well. We purchased our flooring from Australian Cypress US and received our order just as stated. I might add that we were very impressed with the shipping process as "the Business Owner" is very cautious with who and how she ships your order. We followed her directions with the acclimation process and laying the floor. The only "complaint" we had was that we thought we would cull out the pieces that were less than optimal and use those for the closets. 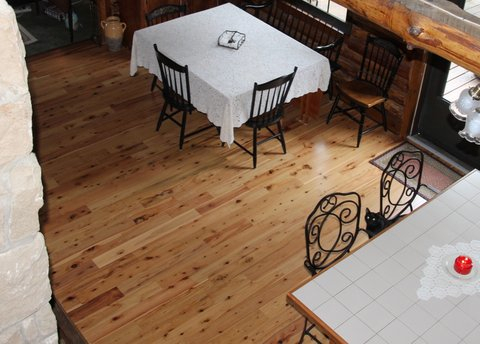 (We've had lots of experience with wood floors and having to order 15% over to account for unusable boards.) Well, we had a difficult time trying to cull out boards. They were all beautiful and of great quality! We were beyond delighted. We learned a lot about australian cypress wood and are so thankful that we did our homework before choosing where to purchase. Australian Cypress US is a smaller business compared to the others out there, but as we learned, bigger isn't always better. We definitely received our moneys' worth and would recommend "the Business Owner" and her boys to anyone wanting to purchase australian cypress flooring. Jack & Sandy Evans, Missouri. ​5-¼" x ¾" pre-finished flooring. "I'm sure you can see why I love it!" 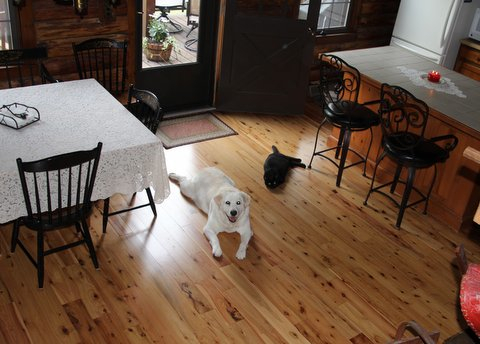 The rest of the family loves the 4-¼" x ¾" pre-finished floor, too! ​I'm sure you can see why I love it! 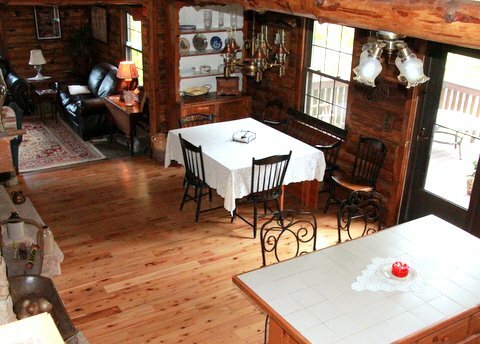 The Australian Cypress is a perfect compliment to my logs [log home]. My dog and cat love it also! 4-¼" x ¾" pre-finished Australian Cypress floor - installed. 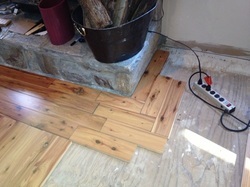 Installation in progress of a 4-¼" x ¾" Australian Cypress floor. "We love our floor!..thanks for making this a very pleasant experience." 4-¼" pre-finished Australian Cypress floor installed. 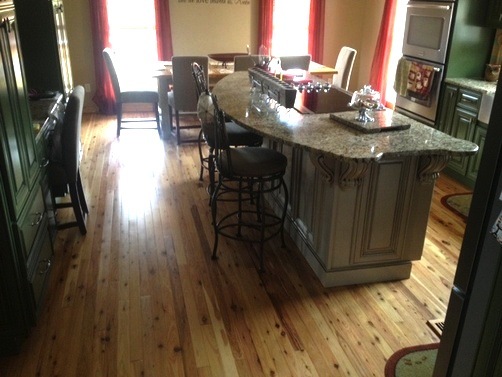 A customer's 2-¼" x ¾" pre-finished Australian Cypress floor - installed. "Hi, everything is great ... and it looks awesome! Thx alot... It was a Pleasure doing business with you and your company! I would Highly Recommend you all to anyone!!" 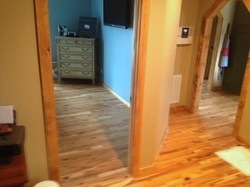 2-¼" pre-finished Australian Cypress floor installed.